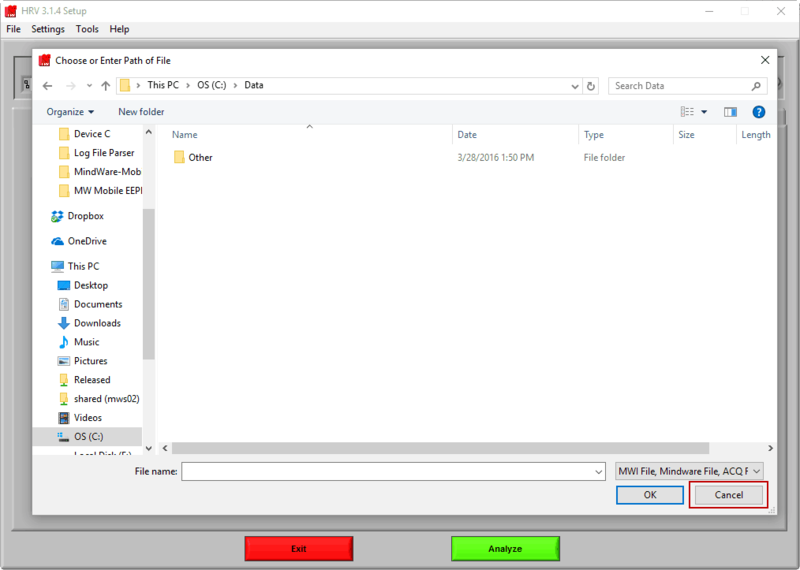 A MindWare data record consists of 2 files – an MWX and MWI file. The MWX file contains the raw data, which is never modified after acquisition is completed. The MWI file provides an index to the MWX file to optimize access to its content. It also contains any changes made to the data record post-acquisition. Due to processing limitations on some data acquisition devices (such as the MindWare Mobile), only the MWX file is initially created. 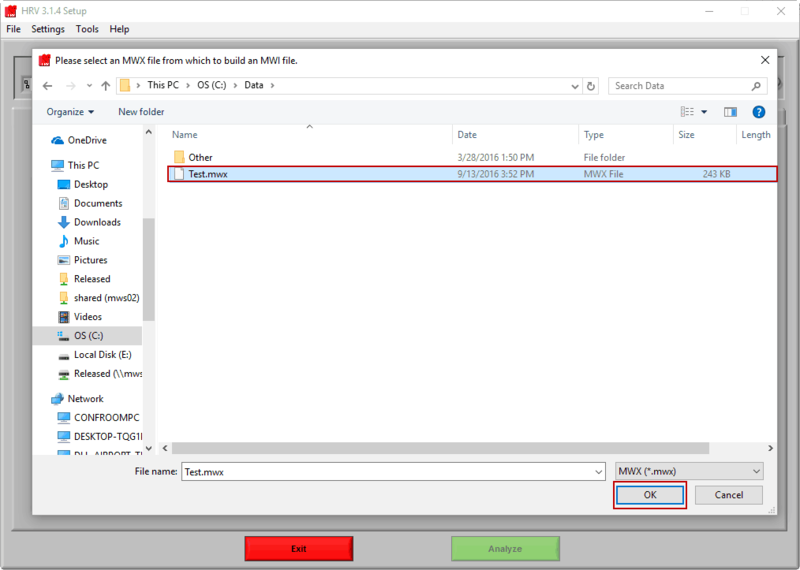 You must first build an MWI file before viewing or analyzing your data using the Build MWI tool. 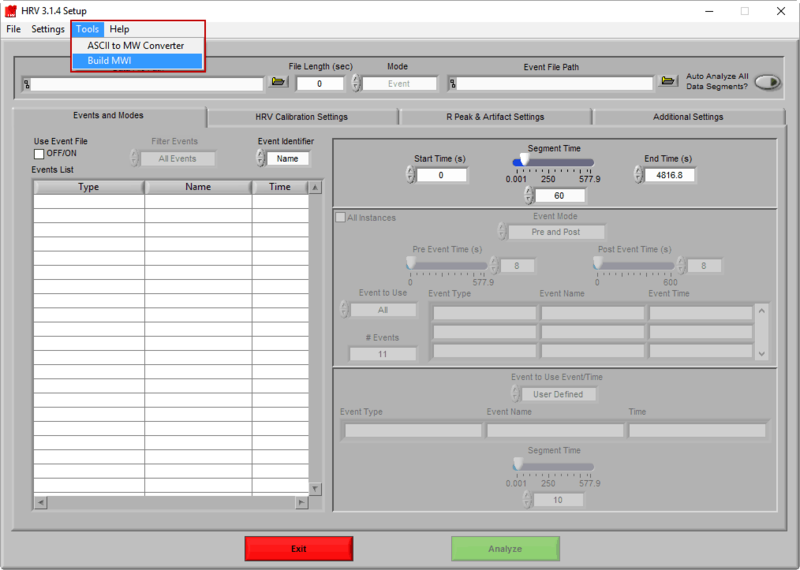 The Build MWI tool is available from the Tools menu in the Analysis Applications and BioLab. If you do not have an MWI file when you open an analysis application, simply press Cancel when initially prompted to open a file. Navigate to the Tools menu and select Build MWI. and locate the MWX file for which you want to build an MWI. When selected, press OK.
Press Build MWI to create an MWI file. The MWI file will be created in the same directory and have the same name as the MWX file, but with a .mwi file extension. Press Exit to return to the application. The last MWI file which was built will automatically open.